Tempo and Speed: What color is your tube? What color is your tube? I talk a lot about Tennessee. While I don't live in Tennessee and haven't for decades (! ), we visit frequently. In fact, we were just there visiting this past weekend and I have a new story to tell. This story takes place on the Peaceful Side of the Smokies. The little town of Townsend, Tennessee is where many of our Tennessee stories take place these days. Townsend is just a short drive from where I grew up. I have countless memories of driving the winding road to and from Townsend. Many of my teenage formative days were spent in the mountains and on the river in Townsend. Not much has changed in Townsend since my teenage years. There may be a few more tourists and a better grocery store, but much of it feels just the same. There is one thing that has changed quite a bit though and that is tubin'. Back in the day, if you tubed on the Little River, you tubed on a black inner tube. You know the type from a big truck tire. The tubes had a big metal air-intake valve that would stab you frequently if you weren't situated just so on your tube. And as I said, the tube was black so the top side of the tube (the part not in the water) would absorb the hot summer East Tennessee sun rays making it prime for burning your armpits and tender underbellies as you repositioned yourself to avoid the air valve. Where would a tuber get such a tube? From a guy in a van parked along Highway 321. For maybe $3. For all day. You just had to figure out how to get you and your tube from his van up the river to start. And then you had to figure how to get you and your tube back up the river to his van when you were done. That alone could take all day. And we thought it was such fun. Tubin' now is very different. Tubin' is an industry. 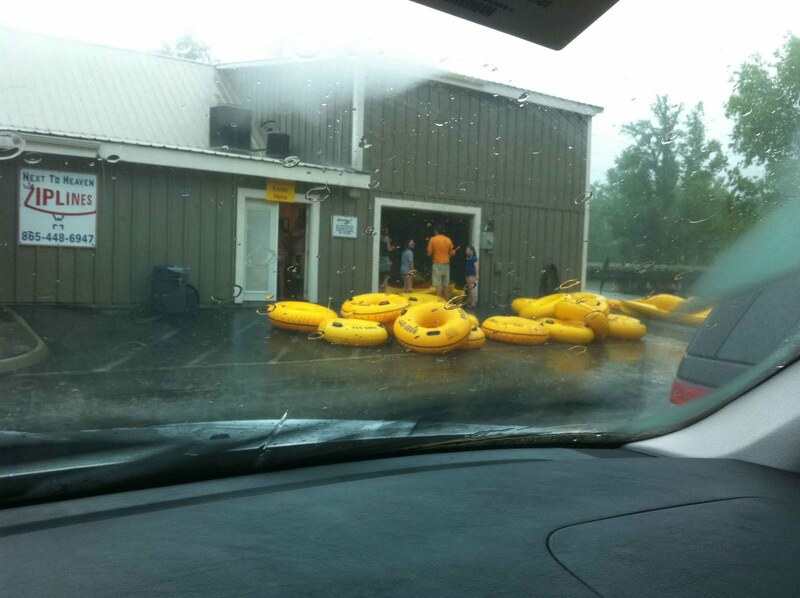 There are no fewer than three legitimate tubin' businesses in Townsend. Not that the guy in the van wasn't legitimate, he just didn't have a building on which to hang his shingle. I'm sure everything else he did was legit. Each of today's tubin' companies have there own trademark item that sets them apart from the others. 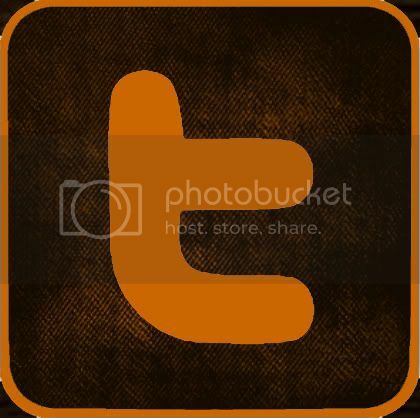 Usually this trademark comes in the form of the color of the tube. On any given sunny day, the river will be peppered with yellow, neon green and orange tubes. And instead of sharp pointy metal intake valves, these tubes have handles for carrying and for the younger ones to hold onto while floating down river. The tubin' operations provide there own "put in" point on the river and a pick up point as well. They all have their territories so to speak on the river. Don't even try to put you green tube in at the yellow put in spot. At the pick up point, they actually pick up you and your tube and drive you back to your car which is parked at their put in location. So no more long walks back up river with your burning hot black inner tube and no more risky hitching for rides back to the guy in the van. That alone is worth the three- to four-fold price increase for a day of tubin'. Yes, tubin' now costs anywhere from $9 - $13. Why would you pay $13 when you could pay $9 for the same river? That's actually one of the tubin' company's tag line. I pay $13 and I'll tell you why: Quantity. Less Quantity. I don't get more river for my money. I get less people for my money. That four extra dollars thwarts hundreds of people and sends them over to the two other tubin' businesses. So that makes my tubin' experience that much better. I don't like crowds and I especially don't like sweaty, bathing suit clad crowds. When you have to stand in line to sign a waiver and get a tube, the last thing you want is to be skin to skin with strangers and all their cousins. We tried one of the cheaper tubin' operations once and it was way too cozy for our comfort. So we gladly pay our $4 premium for the same river. There are long lines at the River Rat at times but they are a little more tolerable for some reason. Call me a tubin' snob if you will. I guess I am. The difference in experience is sort of like being in a corporate skybox suite versus the infield at a NASCAR race. Now that you have all the background, this brings us to our most recent tubin' experience. We tubed on Saturday on our yellow tubes ("Nothing says high class like a yellow tube!" Maybe River Rat will pick that up as their slogan). The "we" would be my two sons, their Cousin A (yes, we brought a cousin of our own) and I (or is that me?). It was a bit cloudy and rain was forecast for later in the day. We should have had plenty of time to make the 60 to 90 minute trip down the river. But right when we put in the river, there was an omen (only later recognized) that should have told us to turn back. A dead bat lay on the first large rock we passed. We had never seen that before. Actually, then my youngest son did say something about not wanting to tube as he looked at the darkening sky. But I had just paid $13+ tax (which is 9% in Tennessee!!!!) for each of four tubes so we were going down the river come dead bat or high water. And we got both. The float was relaxing and uneventful after the bat until about one hour into the trip. The river is mostly tree-lined and shaded. So you're not real sure what's going on in the sky as far as cloud and storm activity. We rounded a bend where there were fewer trees and finally could see that the sky had darkened quite a bit to that scary, angry grey color. And the wind was picking up. Oh and we did hear some thunder. Five rounds of it according to my youngest son. I looked at Cousin A, who is 16 and who my youngest son was tethered to (literally, with a black strap provided by River Rat) and said, "let's get out here." Here was not the pick up point but rather someone's backyard. We got out of the river just in time for the clouds to burst, the wind to howl and the lightning to strike. Thankfully, the family who's backyard we were trespassing in on Riverview Drive saw us coming and gave us shelter from the storm. No East Tennessee dramedy such as this would be complete without a colorful mix of sundry family members. So, meanwhile, Cousin A's parents and my parents were in their separate cars driving up and down Riverview Drive and Old Hwy 73 looking for us because that's what worried parents will do when their young are on a waterway during an electrical storm. I called my parents from our rescuer's house and gave them the address. I ran out in the rain (dressed only in river shoes and my bathing suit) to stand on the road (in the raging storm) to wait for them while the kids wait safely under cover by the house. In the distance I saw a car coming, thinking it was my parents, I began wildly waving my arms to flag then down. Meanwhile again, Cousin A's parents (my brother and sister-in-law) are driving down Riverview Drive and they see some poor desperate woman, dressed only in river shoes and a bathing suit, wildly waving her arms by the roadside. "Let's help this poor woman first, then we'll find the kids," says my brother. They stop their car to help me, the poor desperate woman. At times like these, it's good to have a big family who doesn't mind driving around in dangerous weather. 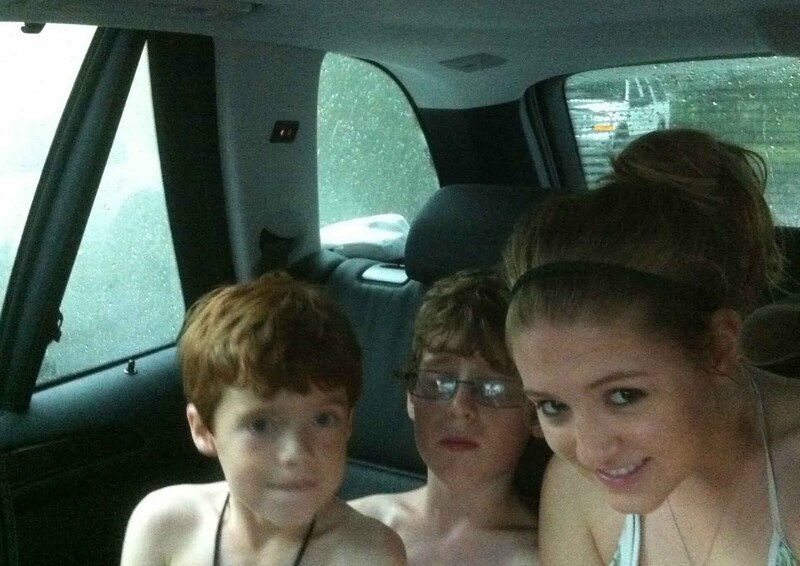 We all piled in the car and headed back to River Rat to wait out the storm and meet up with my parents. Now this story would not be complete without pictures. I didn't have my camera but luckily my brother had his iphone. These don't completely do the scene justice but believe me it was a scene. 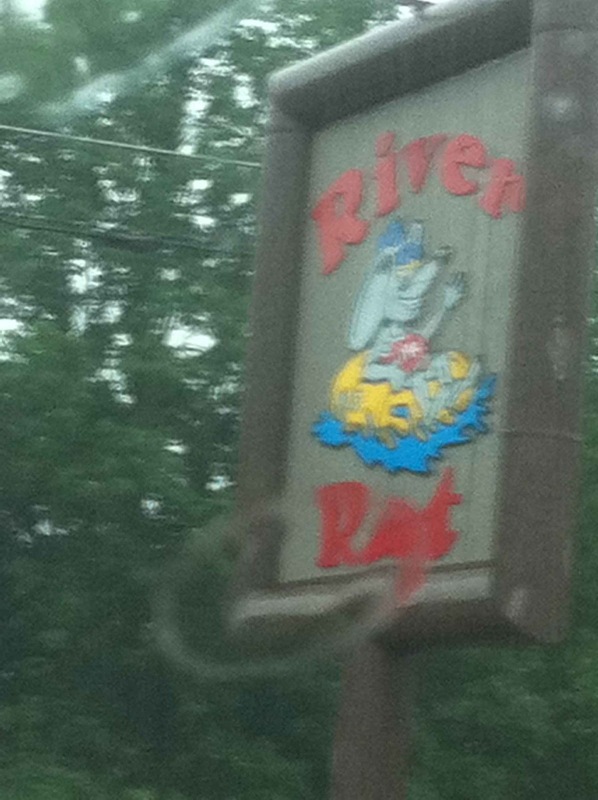 I miss the River Rat!! And all my cousins!